How to Stop Skunks from Digging for Grubs? You have seen the damage in the morning. Overnight it looks like your lawn has been attacked by a zombie rototiller! When your lawn has been torn up into little clumps during the night, it’s likely the result of a skunk digging for grubs. Predator Pee® knows how to stop skunks from digging up your lawn with a simple solution. Fox Urine Yard Cover Shakin’ Flake Granules are the yard skunk repellent you need for your lawn or garden. Grubs live in the rich layer of soil just under your lawn and these grubs are a favorite food of skunks. Skunks scratch and tear at your lawn to get the grubs and the result is your lawn is ripped apart. 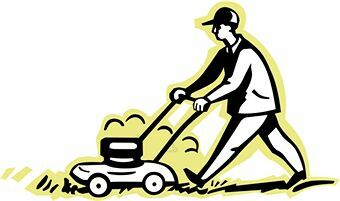 Stop skunks from tearing up your lawn by spreading Fox Urine Yard Cover Shakin’ Flake Granules on the surface of the grass. Each 16-oz. jar of skunk deterrent treats about 200 square feet. Because foxes prey on skunks, the scent of fox urine triggers the fear instinct in skunks. When skunks smell a fox, they avoid that area. 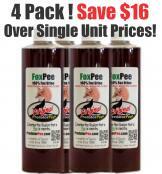 Protect your lawn from digging skunks the natural way with Predator Pee® Fox Urine Yard Cover Shakin’ Flake Granules. Everything you need to keep your lawn from being dug up. Save $96! Had enough of digging, burrowing critters or of other ones using your lawn as a litter box? Contains a 12 pack of PredatorPee YardCover granules shakin' flakes– enough to treat a 2500 sq ft lawn. Choose Fox Pee for skunk, Wolf Pee for cats, Coyote Pee for armadillos and gophers, and Bobcat Pee for moles and voles. $180 Save $96 over single jar prices!